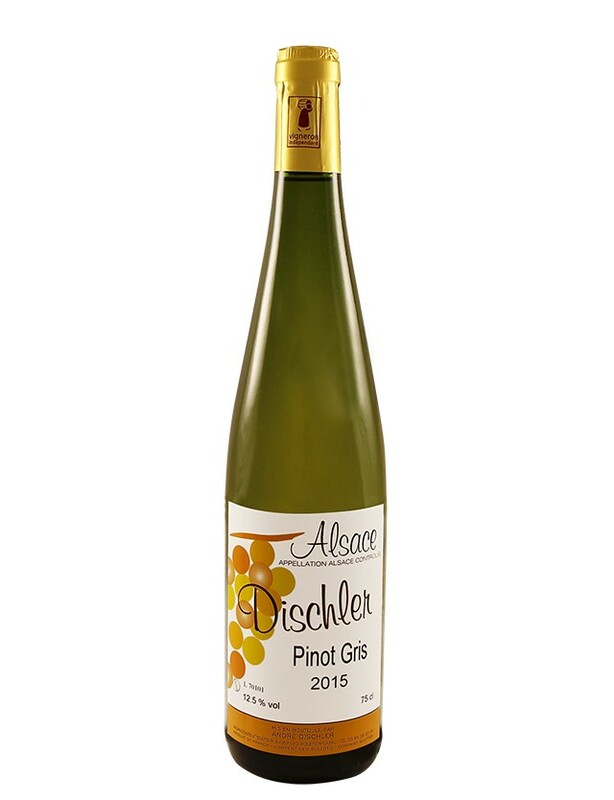 Now to Alsace, to Domaine Dischler, located in Wolxheim not far from Strasbourg. Owned by the Dischler family for five generations, the estate is today made up of 11.5 hectares of vines and produces seven varieties, typical of Alsace: Pinot Gris, Pinot Noir, Pinot Blanc, Gewurztraminer, Sylvaner, Riesling and Muscat d’Alsace. André and Nathalie Dischler, the estate owners, believe in respecting the environment and practise sustainable and integrated vine growing methods with environmentally-friendly treatments. The vineyard is made up of different terroirs, including the famous places known as Rothstein (red stones, former Vosges sandstone quarry), Carrières Royales, Bruderthal in Molsheim and the Grand Cru Altenberg of Wolxheim where they produce their speciality: the Grand Cru Riesling. This great diversity brings a specific typicality to the different varieties that they cultivate, while respecting the vine. Since 1850, the Dischler family has transferred their expertise from father to son, to create vintages whose watch words are structure, harmony and elegance. Attractive pale yellow colour with green glints. Pleasant nose with floral and white fruit notes. In the mouth, it's tangy and clean with very pleasant lightness and balance. A simple wine for sharing, for aperitifs or drinking with starters. Clear, pale golden colour. A fine but discreet nose on stoned fruits and exotic flowers. Dynamic, very supple and very fresh in the mouth. We love the positive attitude of the fruity bouquet. A simple, delicious wine for sharing. Pale gold colour. Fine characteristic nose with accents of exotic fruit and roses. Delicate, supple and refreshing in the mouth. We enjoy the fruity surge assisted by a pleasantly sweet finish. A balanced cuvée, in line with the appellation's charming style. Pale salmon-pink colour. Nose of red fruits and ripe citrus. Powerful in the mouth with a vinous attack. The evolution is attractive for its freshness, vivacity and lasting fruit. A classic rosé brut, generous with a lovely fruitiness. Aperitif or dessert. Wines for laying down and gastronomy par excellence, with delicious and generous character, the Altenberg de Wolxheim develop powerful and harmonious body over the years with the fine aromas that typify limestone-marl terroirs.